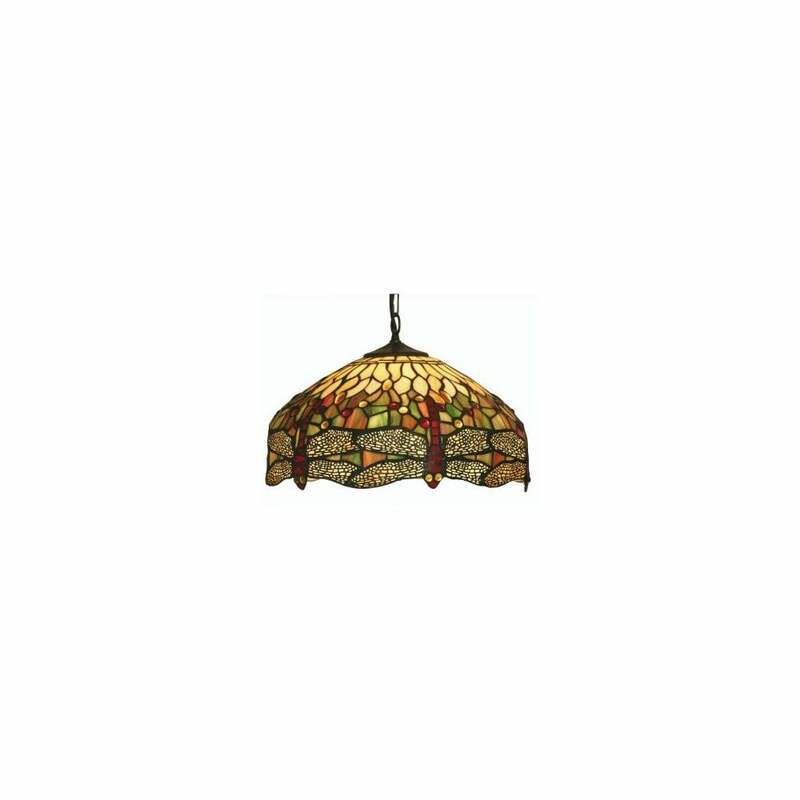 Oaks Lighting Dragonfly single light ceiling pendant features a circular ceiling plate with decorative chain holding an impressive 40cm diameter Tiffany glass shade with beautiful autumnal colours, bead detail and dragonfly design. The product code for this Oaks ceiling pendant is OT1485/16 P .
The Dragonfly collection includes a matching larger 60cm pendant, single light wall fitting, table lamp in 3 different sizes and desk lamp, all can be viewed on our website.